War, poverty, hunger and crime are caused by the fear that surrounds money and its scarcity. Money is energy, and energy is limitless. Only our fear and our limited way of thinking make money seem scarce. Using the exercises described in this book, you can reconnect with the sacred origins of money, and direct the flow of money through your life and the world on a current of love, joy, goodwill and abundance. Money is energy, and according to quantum physics the universe is made up of energy, which becomes matter only when information is focused on it. Wood is wood and not iron because of the information that forms the two different kinds of matter. Too many of us labor under the belief that money is "a necessary evil," which is, more often than not, difficult to obtain. By changing our feelings about money from fear, anger, greed and scarcity, to love, joy, abundance and goodwill, we can change the way money moves through our lives and the lives of others all over the world. Money Is Love teaches that as we begin to remove the negative thoughts and feelings that surround money and redefine money as love, we bring the power of love into all of our monetary transactions. This in turn opens our hearts to allow money to flow abundantly into our lives, creating a place of peace and joy. From this place of harmony we can then send money back out into the world on a flow of love and gratitude. Money healed can begin to heal all that it touches. And because money flows like blood through the planet, diseased it causes disease, but infused with love it creates healthy new life. Transform your money, and transform your life. "Money is the blood of the planet. Heal the money and we can heal the world." It's true, the world is in crisis. But each of us has the ability within ourselves to move out of a life of powerlessness and fear and into a life of joy, prosperity and love. Money is one of the most potent tools we have to transform our lives and the world. But we need a new bottom line. That new bottom line has to be love. To create a more balanced world we simply need to enter each monetary transaction – each exchange of the energy we call money – in a state of loving, caring, and sharing. When we begin to treat money as an agent to transmit love, we will create a just and prosperous world. Visit this site often to renew your belief in yourself, your prosperity, and the promise of a peaceful planet. "Barbara has created a simple, hands-on approach to cleaning up our relationship to money on both a personal and global scale. This book provides useful truths from history, healing techniques, and a clear vision that can shift our perceptions about money from fear and greed to love and goodwill. Money Is Love is a great place to start in bringing greater abundance to our pocketbooks and a little peace of mind to our souls." "A searchlight into the dark mystery of wealth, Money Is Love illuminates unexamined terrain. Seekers of balance in this material life, start here to remember the true power in your cash flow. A challenging and fun way to change your mind about money." 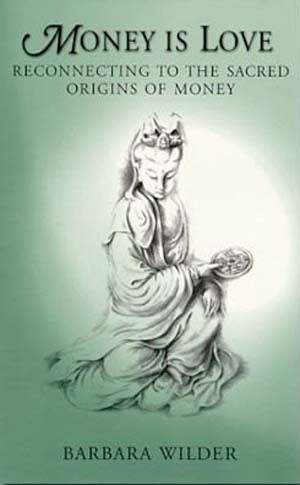 Money Is Love by Barbara Wilder is the first book that investigates and explores the pre-history of money and its original sacredness. It is a philosophy that puts forth the notion that if individual human beings begin to bring their conscious awareness back to the idea that money can be a force for good on the planet, they can, in fact, change the energy around money from fear, anger, lack and greed, to love, joy abundance and goodwill. A must-read! Wilder delves into the sacred history of money and how it became separated from what it could represent – and what it did represent centuries ago. Reading this book made me aware of the re-education necessary for money to once again be a tool for goodness... This book may be one of the best investments you've ever made. This book dramatically improved my relationship with money. It helped me to see money for what it truly is and always has been - a recognition of value and worthiness. This has been particularly valuable when estimating my own worth. I used to be afraid of money and just the thought of it would trigger this intense fear response. Growing up, my parents often fought about money and I develop a sense of disgust for money as if it were the money's fault. My disregard for the value of money led to me being reckless with it. My lack of appreciation for it also led to me not honoring my own worthiness by accepting far less of it than I actually deserved in most cases. 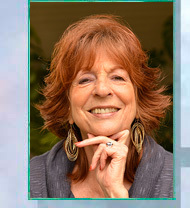 Barbara's transformational book set me free from all of this fear and resentment towards money and I now look lovingly upon money with an open heart full of gratitude. As soon as I made this shift in consciousness, it started to flow and I now attract more than ever. This is a must-read. This book explains that fear of lack is behind much of the problems we face daily on a personal and global scale, which I agree with. The author then offers tools that allows the reader to reconnect with the source of wealth within us all. I found this book to be very inspiring. It is an incredible insight, understanding the energy of money. The author gives an insight that is easy to understand and good examples of the history of money. The reader will have fears fade, and abundance flow after reading this awesome little book. It may be small, yet it is mighty in spirit. I purchased this book because I was trying to work past my negative associations with money that were limiting me. This was the only book that was very helpful in transforming all the negative feelings and associations that I had with money to the positive and allowing that blockage to open up and flow freely. It was also the only book that I could find that explained to me why I had those feelings, where they came from and how to cure them. I hope it will help others experiencing the same. I read your book last year. What a gift your writing was to me. Money is Love made a huge impact in my thinking about the flow of currency and my approach to 'managing' my money! Synchronicity is so amazing to me; I was speaking with a friend yesterday who is dealing with financial issues and your book crossed my mind as something I needed to pass along to him to share the many truths and insights of wisdom that I gleaned from your incredible gift of love to all of us readers! Wow...I just need to express my gratitude to you for writing this book and sharing it with our world. Thank you Barbara. I just finished reading your wonderful book. It has really inspired me. I have a sense of wholeness now that I didn't have before. Thank you. My husband and I picked up your book at the metaphysical fair. We loved it so much that we recommended it to everyone at our church. I know that our bookstore now regularly carries it. Thank you for writing such an insightful book. I read your "Money Is Love" book yesterday and I can't tell you how much I enjoyed it. I have been a teacher of spiritual science and metaphysics in the Baltimore area for seventeen years. This is one of the best prosperity books I have ever read. The exercises in the back of the book are great. Practical applications are so important and you have provided some very good methods to execute one's faith in the belief system we call money. Barbara...Congratulations! I was just connecting in with your book, MONEY IS LOVE, again recently, reading it on the plane on the way back from California. It's truly a masterpiece. I will be including it in our soon to be published book, The Co-Creators' Handbook. Blessings, to you. I liked your book, Money is Love, very much and hope to change for the better.